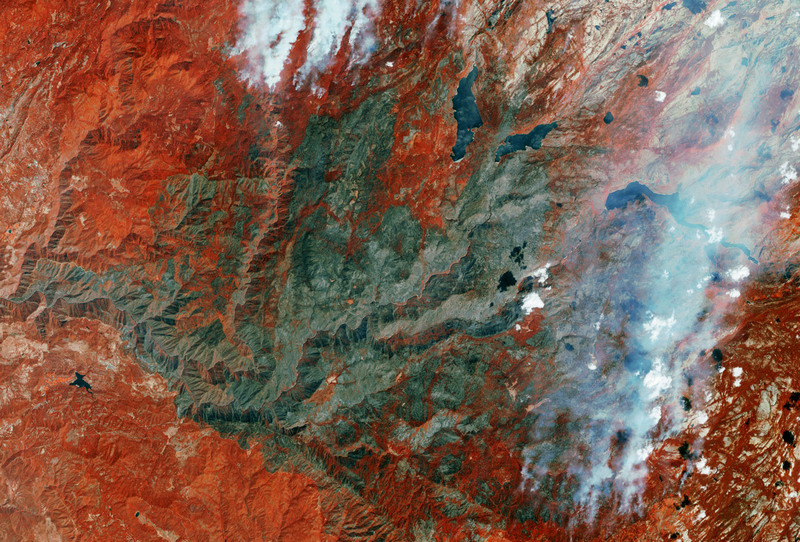 SPOT 6 acquired an image on 5th September 2013 on wildfires raging in the Yosemite Valley, California. 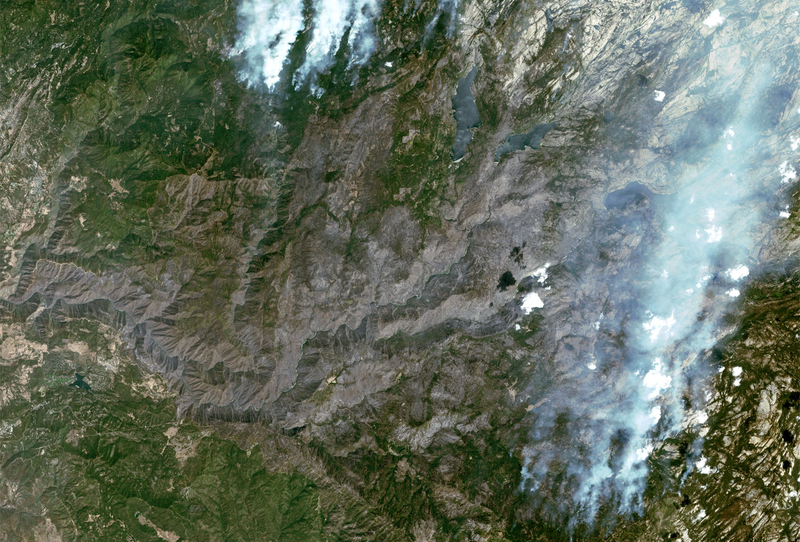 The image shows two fires still active in the Yosemite Valley. The burnt area covers more 45km. Since the start of the wildfire , over 250,000 acres have perished.. Fires spread very close to Lake Hetch Hetchy, the main freshwater reservoir for San Francisco. The large SPOT 6 image, mapped the affected areas in a single pass. With the near-infrared band, the image shows the forested areas and the burnt areas quite distinctly. Local authorities and Civil Security can measure the extent of the damage and the impact of this disaster.